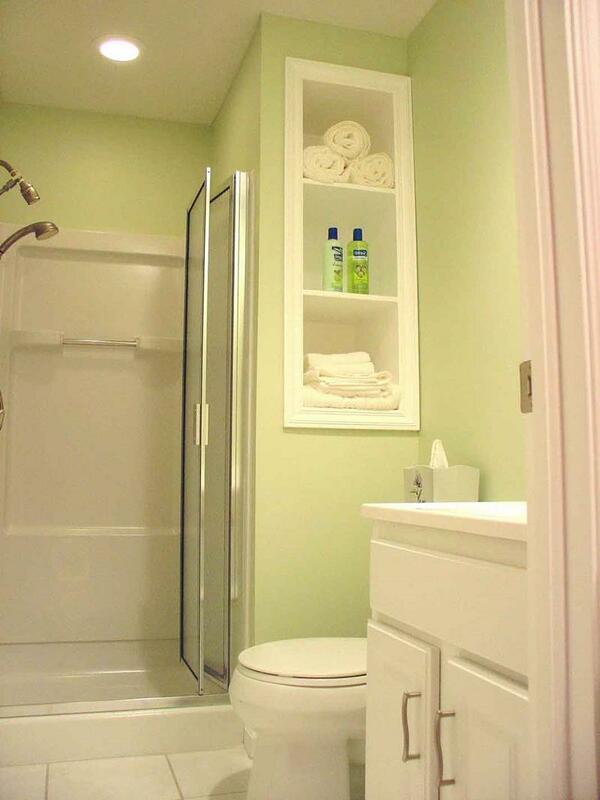 As the light green demonstrates here, light color choices can make a small bathroom feel bright and airy. 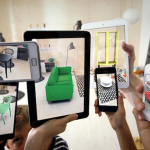 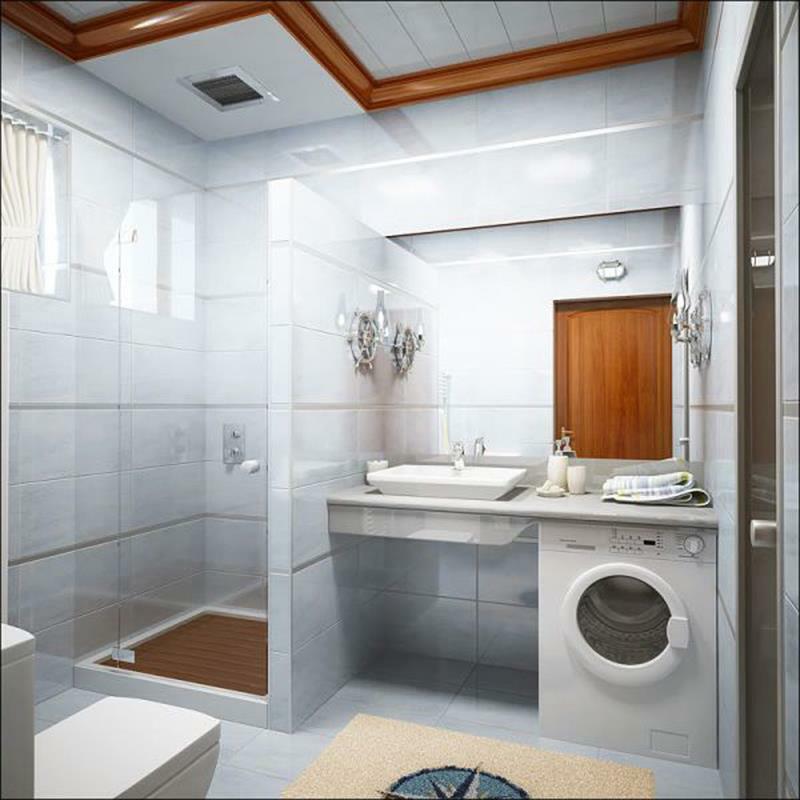 It may be a small room, but that doesn’t mean that making large and bold design choices is an impossibility. 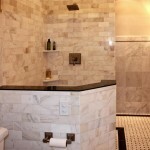 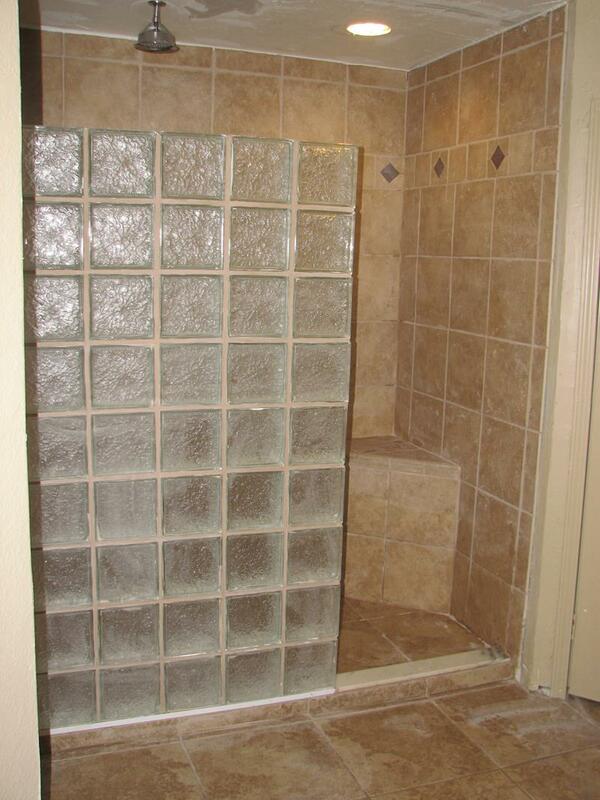 We love the matching tiles of the shower and bathroom floor in this stunning small bathroom design. 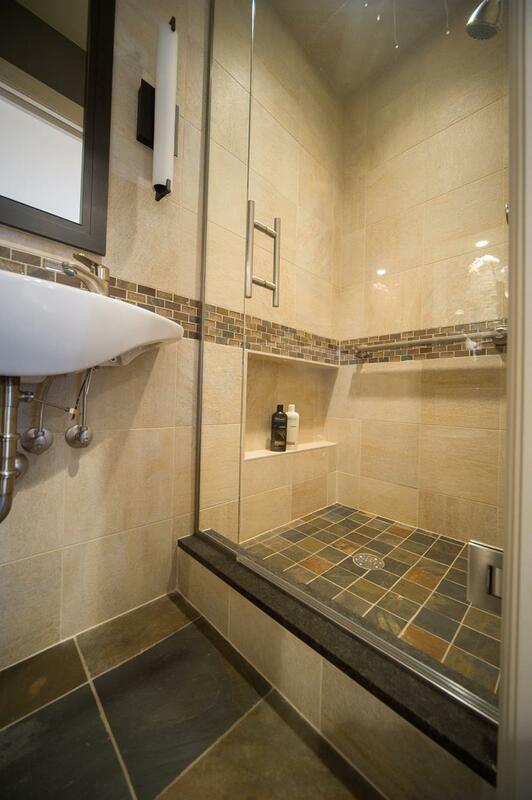 The pressurized glass that’s used to enclose the shower in this small bathroom creates enough separation without breaking up the space too much. 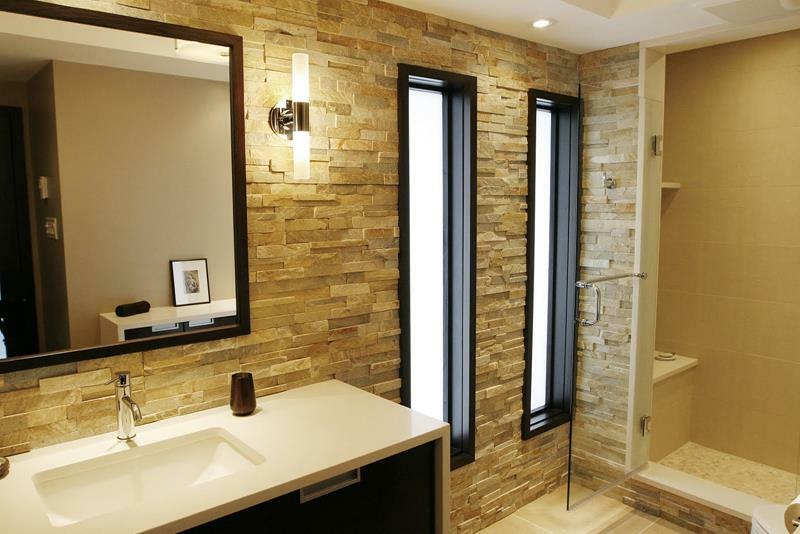 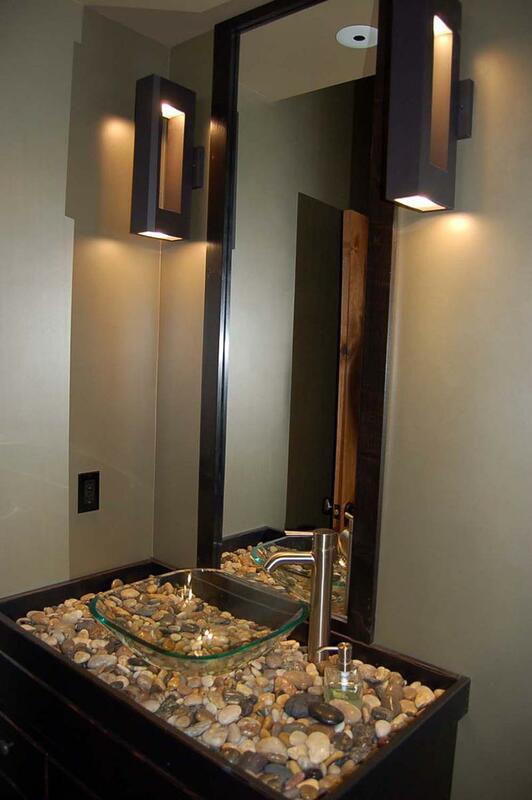 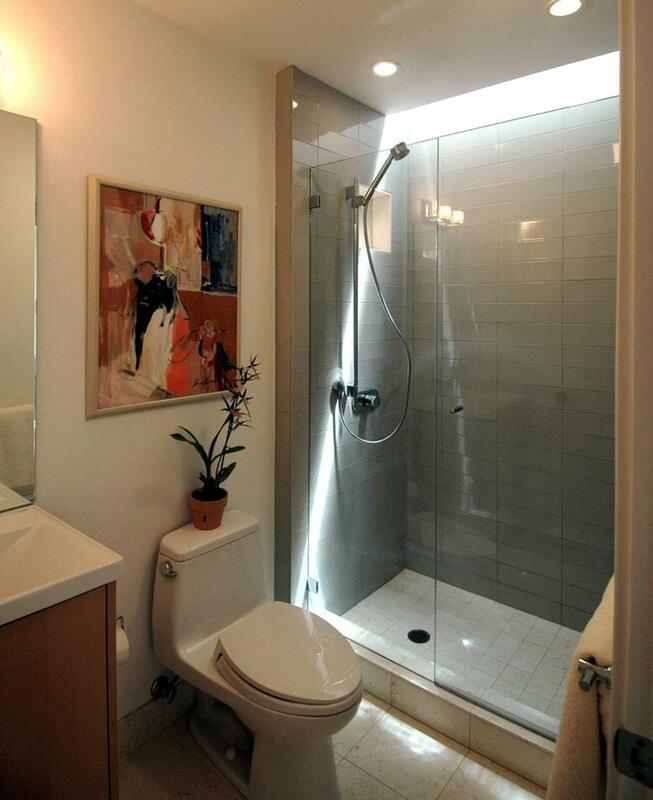 The modern and sleek shower in this small bathroom creates a beautiful sense of space, especially with the overhead light. 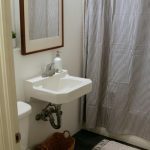 As this bathroom demonstrates, you can do a lot with even the smallest space – this one’s pulling double duty as a laundry room. 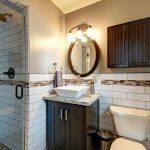 Don’t let the small space of your bathroom make you feel limited; if you put in some imagination, you can make a bathroom that anyone would envy!